Chelsea midfielder N’Golo Kante was the only Premier League player to make it into L’Equipe’s team of the year selection for 2017, with Real Madrid dominating. The France international has been a key performer for the Blues, winning PFA Player of the Year after his star role in their Premier League triumph last May. 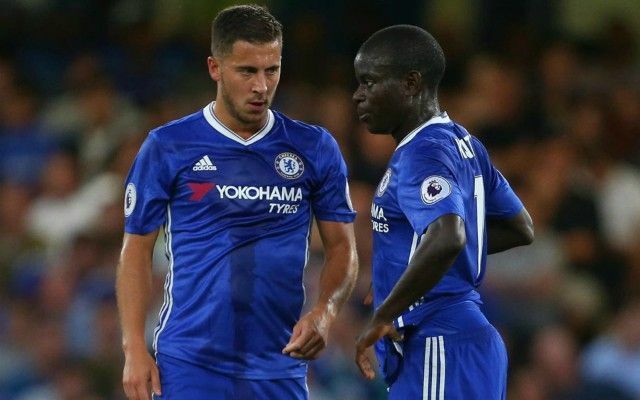 Kante is undoubtedly one of the finest players in the world right now and deserves his place alongside big names such as Cristiano Ronaldo and Lionel Messi. Having won the Champions League, it’s little surprise to see the XI full of Real Madrid players, with Ronaldo joined by team-mates Sergio Ramos, Marcelo and Luka Modric. PSG also boast three players in Dani Alves, Edinson Cavani and Neymar, though the latter also spent the first half of 2017 with Barcelona. Lionel Messi is the only current Barca player to make the squad, while Juventus and Bayern Munich also have a single representative each in the form of Gianluigi Buffon and Mats Hummels, respectively. Should Harry Kane have got in over Edinson Cavani? This seems harsh on some Premier League stars, with Tottenham’s Harry Kane arguably more deserving of a place then Cavani, having finished 2017 as Europe’s top scorer for that calendar year. Manchester City’s Kevin De Bruyne has also been in outstanding form, though unlike someone like Modric, he didn’t actually win anything in 2017, even if that looks extremely likely to change in 2018.